The paintings of WBG, alongside those of her friends and contemporaries such as Ben Nicholson, Barbara Hepworth and Naum Gabo, contributed greatly to the development of Modernist British painting in the mid to late twentieth century. Wilhelmina Barns-Graham was born in St Andrews, Scotland; in need of a healthier climate she moved to St Ives in Cornwall in the 1940s where she joined the artist societies of Newlyn and St Ives, becoming a founder member of the influential Penwith Society, famous for its abstract art. 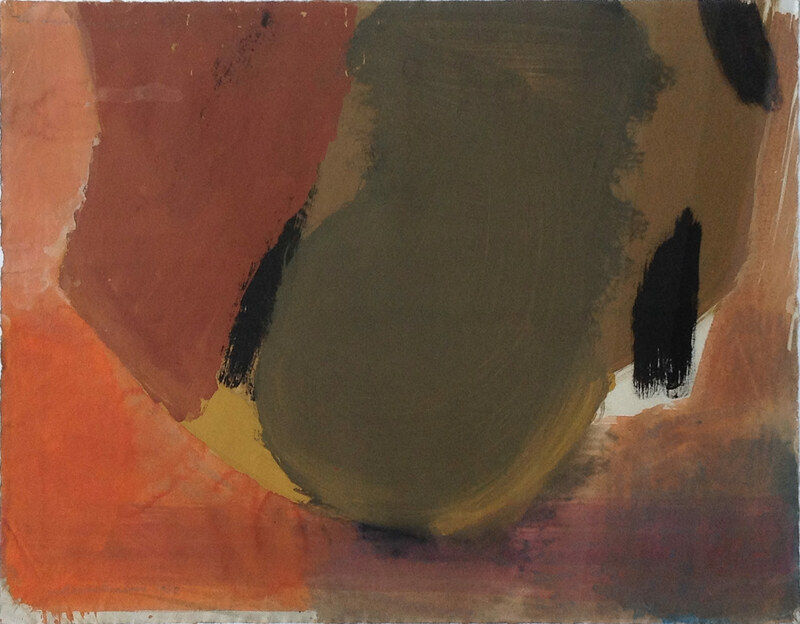 The painting we hold, is definitely influenced by her visit to Spain in 1958 and can be traced to the period between the Linked Forms paintings of 1958/9 and especially the Spanish Island Series of 1960. The direction of Barns-Graham’s work at this moment was to become more painterly, with freer brush strokes. The palette owes something to the Catalan artists too, and is typical for that period of her oeuvre. In 1999 Wilhelmina Barns-Graham was elected an honorary member of both the Royal Scottish Academy and the Royal Scottish Watercolourists; in 2001 she was awarded the CBE.